Sometimes the best thing we can do is just shut up and let others talk. 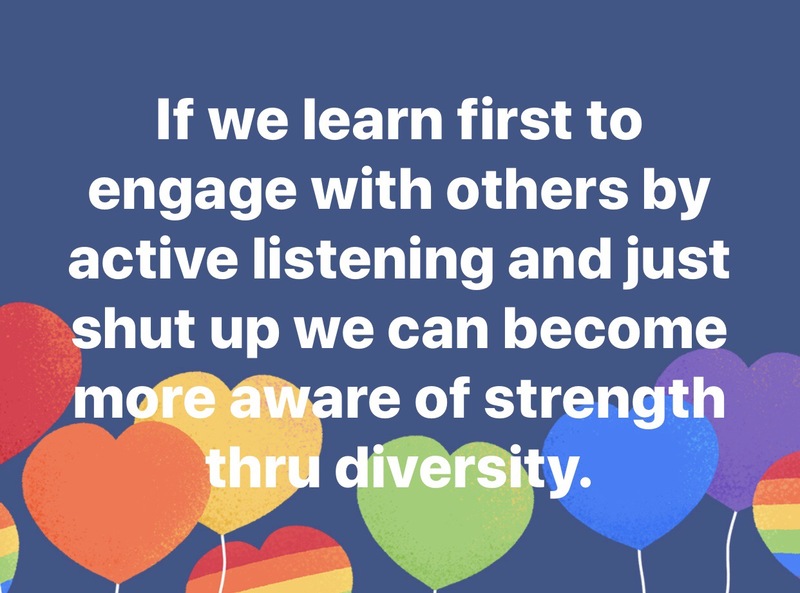 We may not agree with everything they say but we can learn to appreciate the diversity of opinion, worldview, and intellectual, social-cultural, or faith-based conversation starters around us. Only then by pro-active listening can we seek to understand and then wait our turn to be understood. You may just be that calm center someone needs to embrace in their personal chaos of calamity. In the howling wind we can be that silent voice calling them by name. When was the last time you truly listened to your own soul with intent through the embrace of another?